One of the best part of wedding decoration is the table setting. I love every bit of it, the cutlery, the tablecloth, the candles and the gorgeous flowers. It´s like all the creative work you invested into the wedding planning is right there at one place. 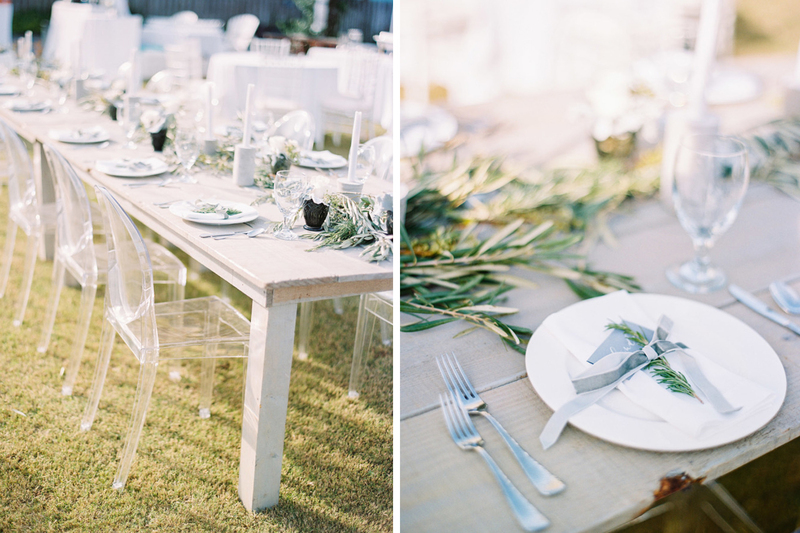 In this post I collected some of my favourite ideas for table settings. Playing around with place card ideas is fun and it can be a great DIY-project. 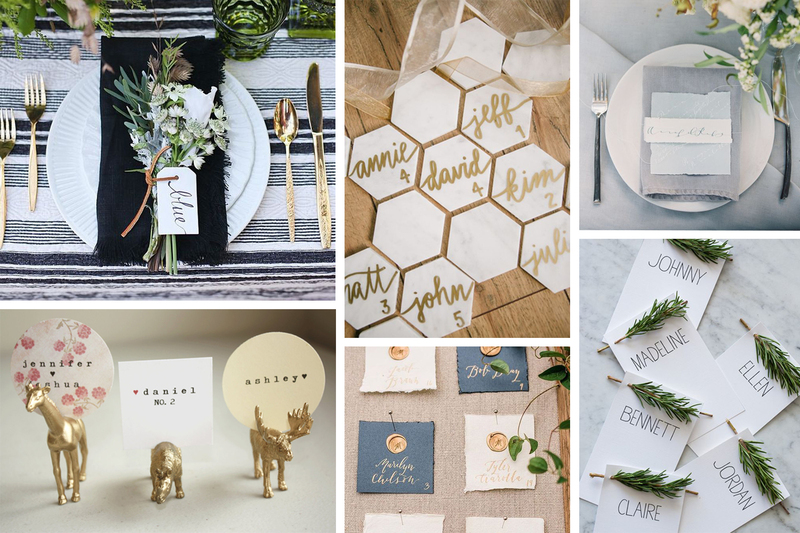 Writing the names of your guests one by one might take a little bit longer time, but it definitely gives a personal touch for the set-up. If your tables are small or you simply prefer the cleaner looks, you can substitute the seating cards with one main seating plan at the entrance of the reception. I´m often asked about the the menu and program cards. How many pieces do you need on one table? Should there be one for each guest? I think it´s up to you. You can choose to have one menu card for each guest, in which case you can make a nice composition with a napkin fold, some twine and flower. The other way to go is to have just a few cards on the table. Usually one menu and one program card is enough for a table of four. For a table of ten, two or three of each cards will be sufficient. I think it´s up to your budget and the style of the set-up. From here you can find nice ideas for napkin folds. 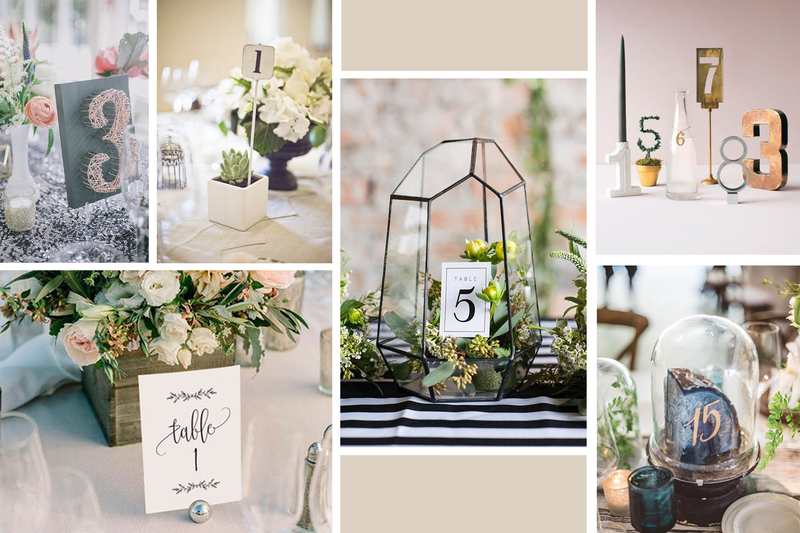 In addition to flower arrangements and other decoration elements, table numbers or table names play an important part of the set-up. Just like in case of the name cards, making these decor elements can be also part of a DIY-project. You can use a photo-frame, a chalkboard or even wine bottle corks.